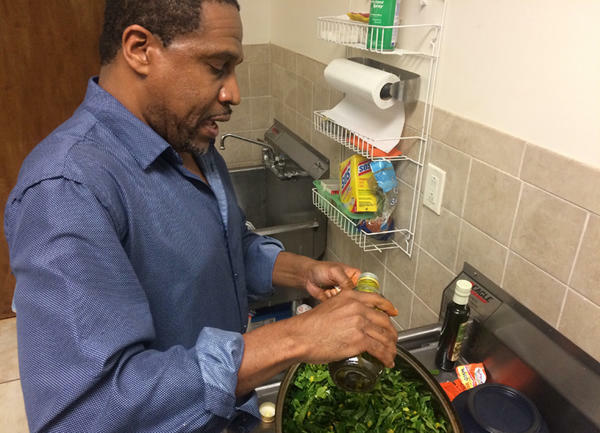 Boyzell Hosey, co-founder of the Tampa Bay Collard Green Festival, prepares some of his greens during a friendly cook-off at Bethel Community Baptist Church. 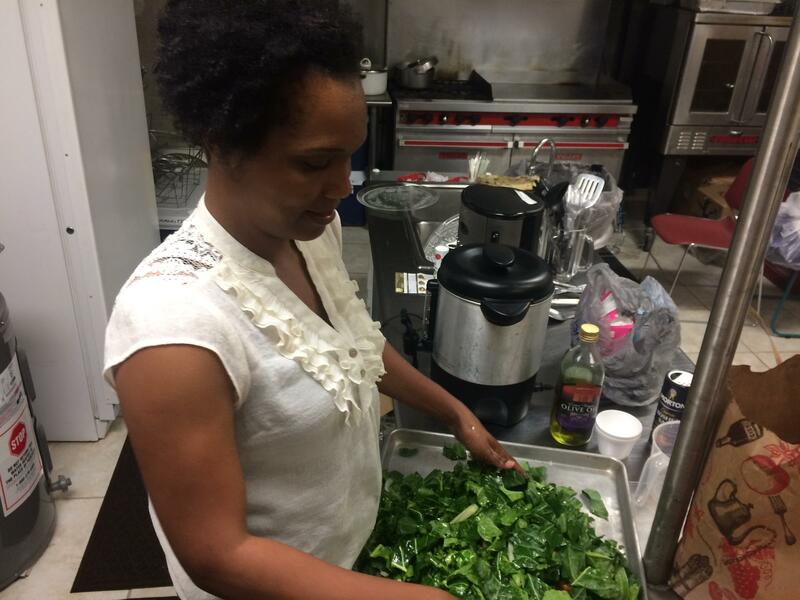 Samantha Wilson, co-founder of the Tampa Bay Collard Green Festival, prepares her greens during a friendly cook-off at Bethel Community Baptist Church. Collard greens are a staple in many African American's diets. Students at Bethel Community Baptist Church prepare to judge a collard green cook-off. 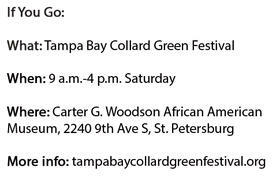 The Tampa Bay Collard Green Festival will take place Saturday, Feb. 24 in St. Petersburg. Collard greens are a staple in the diets of many African Americans. Ava Deveaux volunteers at the Bartlett Park Community Garden. 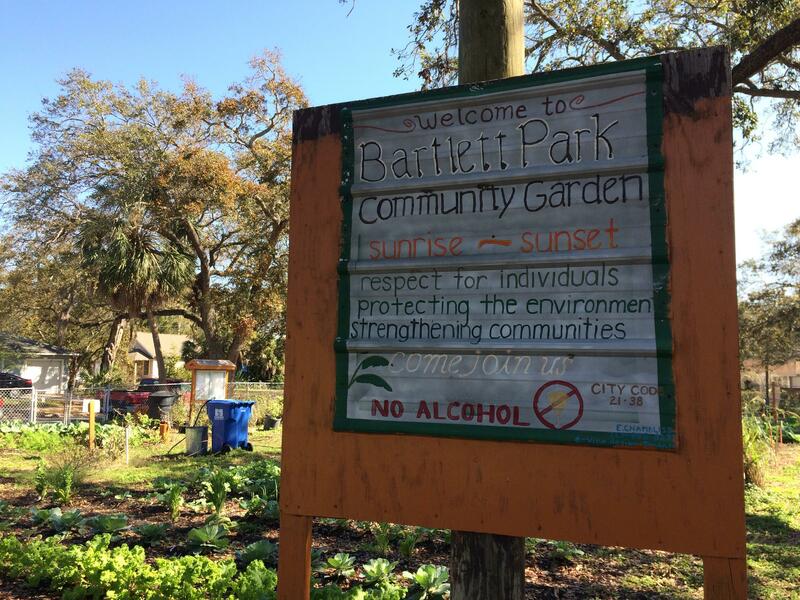 The Bartlett Park Community Garden is in the heart of a residential community in south St. Petersburg. Inside the kitchen at Bethel Community Baptist Church Boyzell Hosey and Samantha Wilson are battling for bragging rights. They're cooking collard greens, a staple in the diet of many African Americans. The judges are a group of kids from south St. Petersburg. Wilson's recipe has a secret weapon: her Aunt Pinky. 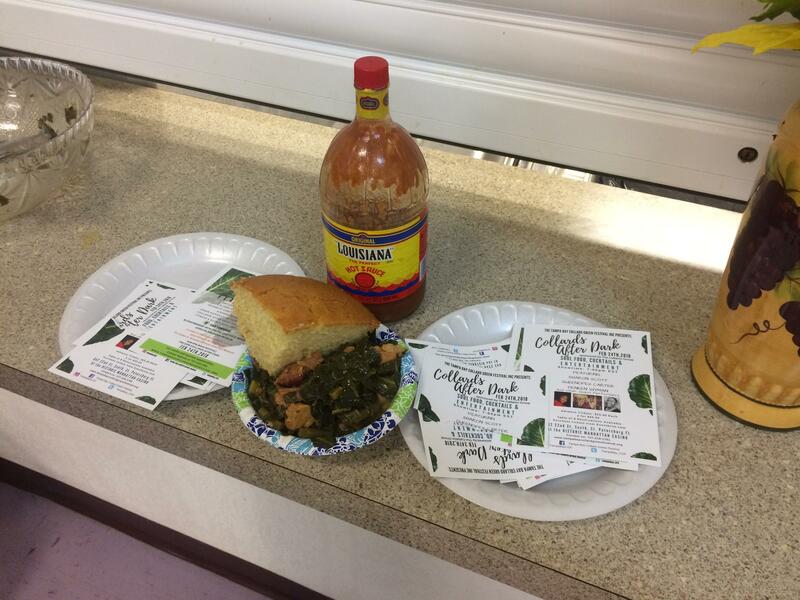 The two friends created the Tampa Bay Collard Green Festival and modeled it after similar events held in Sarasota, Jacksonville and other areas around the country. What makes their festival different is its focus on nutrition. 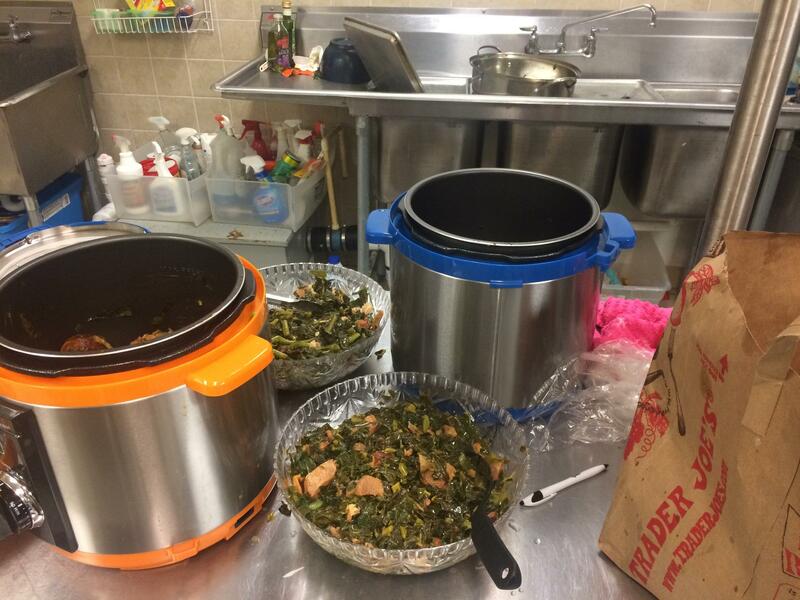 While traditional southern greens are boiled in a broth of bacon or other pork fat, Hosey says they want people to think about healthier cooking options. “If we can use the collard green as the attractor, what can we develop around that to give a good message about healthy living and healthy eating?” Hosey said. 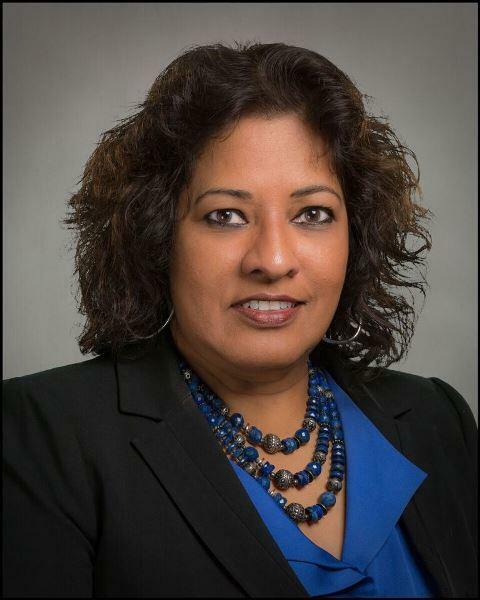 It's an important message, especially for African Americans, who are nearly twice as likely as whites to die from preventable heart disease and stroke, according to the Centers for Disease Control and Prevention. Blacks also have higher rates of obesity, high blood pressure and cancer. 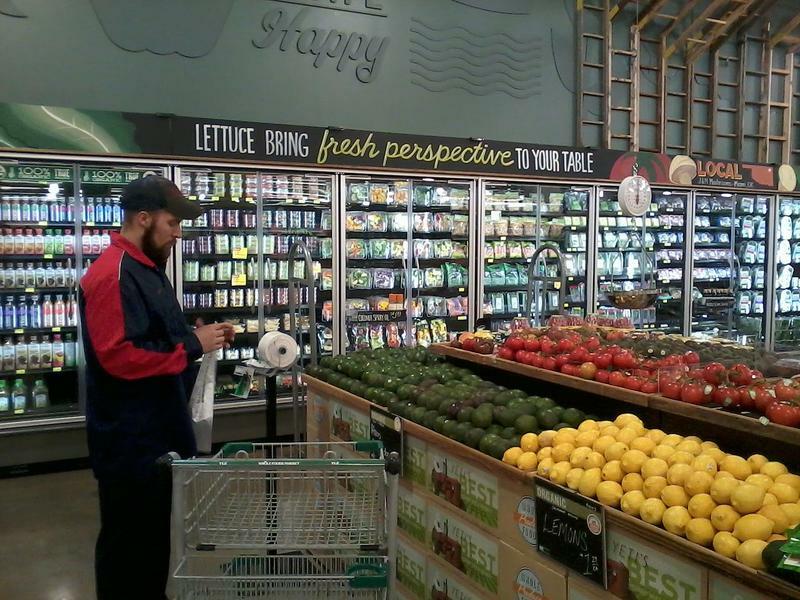 Wilson says the community can draw on its past to find healthier options. 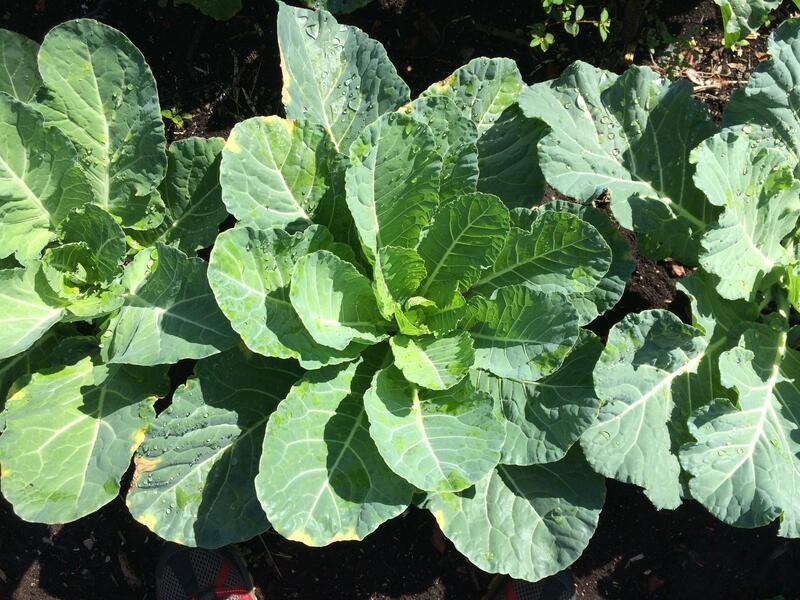 When her mother was growing up, collard greens were grown in community gardens around St. Petersburg. The preparation time, then, was slower. But by the time Wilson came along, most of those gardens had gone away and processed food took the place of fresh produce. Over the past 10 years, the community gardens are cropping up again in urban parts of the Tampa Bay area. Wilson and Hosey say they made sure to involve community gardens in the festival. 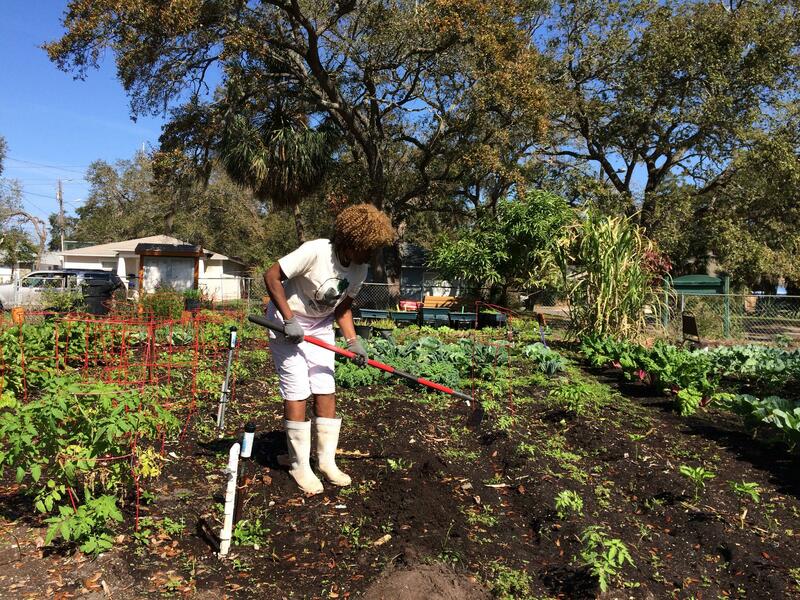 Ava Deveaux is a volunteer at the Bartlett Park Community Garden, where collard greens grow alongside tomatoes, carrots and other vegitables on what 10 years ago was a vacant lot. Deveaux says volunteers who live in the neighborhood spend at least two hours a week tending the garden. Every Saturday, they harvest fresh vegetables to share. A chance to bring the community together is what started this adventure for Hosey and Wilson. And it's what prompted this mini cook-off for the kids at Bethel Community Baptist Church. But Wilson says it's not just about the food. It's about living healthier and longer. That's why Wilson and Hosey use turkey instead of pork in their greens. 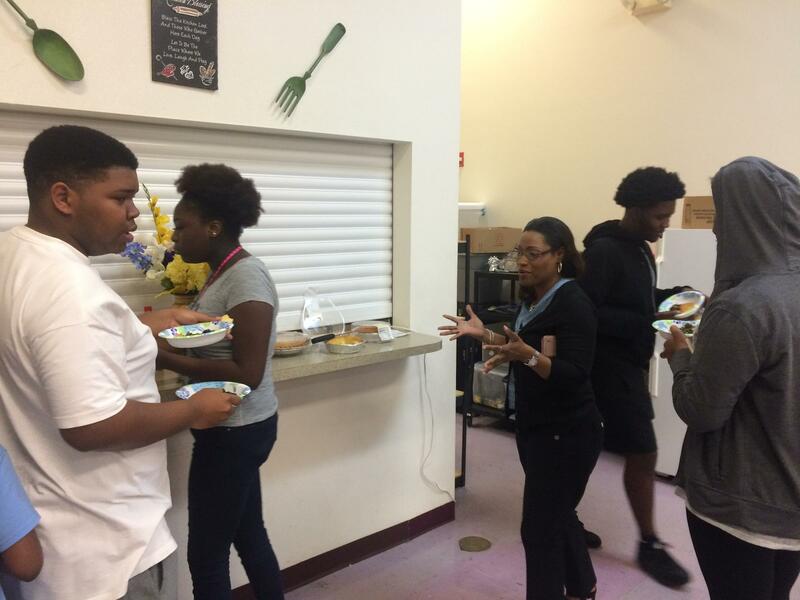 Their healthy recipes were a hit with the students -- the cook-off ended in a tie. They say their success with the collard green festival will be measured by how many people ingest their healthy message. Florida Agriculture Commissioner Adam Putnam is looking for the state's best student chef. 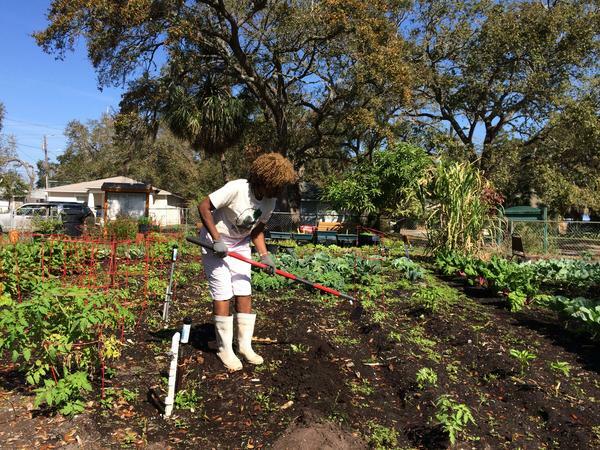 Moffitt Cancer Center is pairing with the state to see if making fruits and vegetables available to children in areas with limited access to them can decrease their risk of cancer. As part of Michelle Obama's healthy eating initiative, a group of major food retailers promised in 2011 to open or expand 1,500 grocery or convenience stores in and around neighborhoods with no supermarkets by 2016. By their own count, they're far short.